User experience questionnaire is one of the most important research methods in UX design. Here I will guide you to create an effective UX survey step by step. When we talk about user experience, the users are all the matter of it. Of course, we can’t design a product without knowing the user's needs and expectations. Especially, when we are releasing a brand new product or the next iteration. 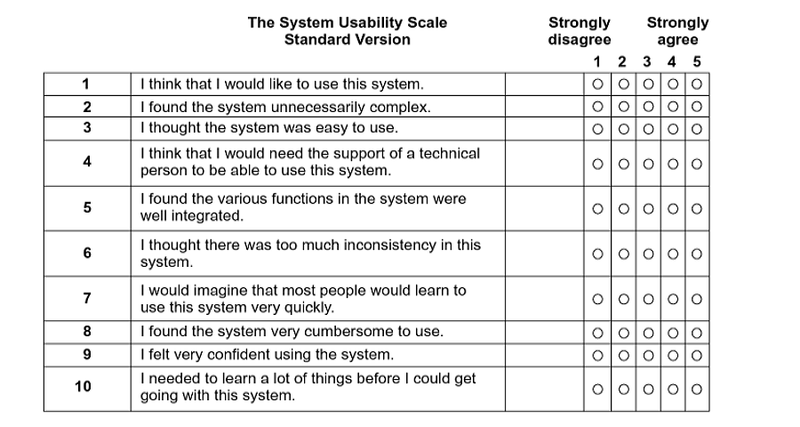 One of the best research methods to get useful feedback and requirements is the user experience questionnaire. It can be done remotely and are cheaper than other research methods. How to design a questionnaire that user experience researcher can get most useful information? In this post, I will guide you step by step. 1. Why do you need the user experience questionnaire? Without determining the goal of the questionnaire can cause a failed survey, and there is only one main goal determined. So you should make it clear that the purpose of this questionnaire is to get useful feedback on your product. Otherwise, you can’t call it a user experience questionnaire. Three main question types: multiple choice question, scoring mechanism, Q&A question. Multiple choice question is the most used type of the questionnaire. First of all, multiple choice questions can save participants time and improve their motivation of participating in the survey. Second, it’s easy and simple for them to make the choice. But you have to control the number of options strictly, which can reduce the respondent's hesitation when they face those options. While there is still has its drawback, it may limit the participant's thoughts and thinking of those options. I think most of the people like expressing their feeling by giving a mark because they can control this situation subjectively. In this case, we can set the score from 1 to 5, which we can know the user's attitude and satisfaction degree toward using the product. 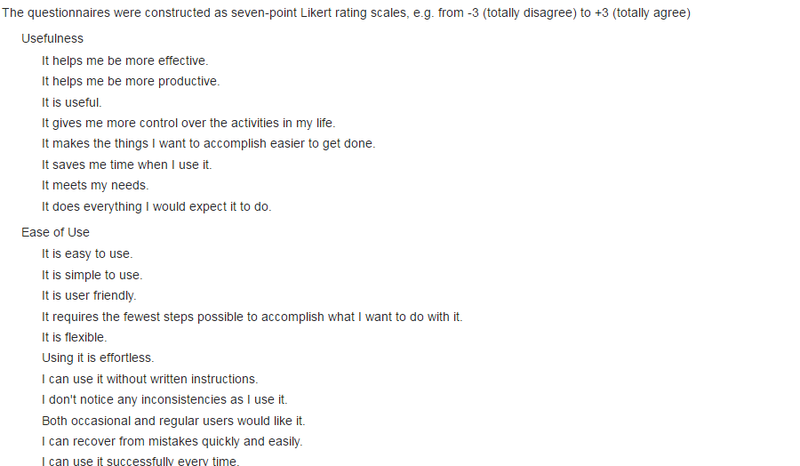 It’s often used in the last part of the questionnaire, such as: do you have any other suggestions and comments? Q&A often being selectively ignored by participants, but if they once provide the answers, and they can be the most valuable information to us. But you needn't list a bunch of Q&As, two is enough, or it will affect the user's enthusiasm. Above three type of questionnaire should be combined in one survey, which will make the questionnaire more diversity and fun. Here are some useful user experience feedback questions. 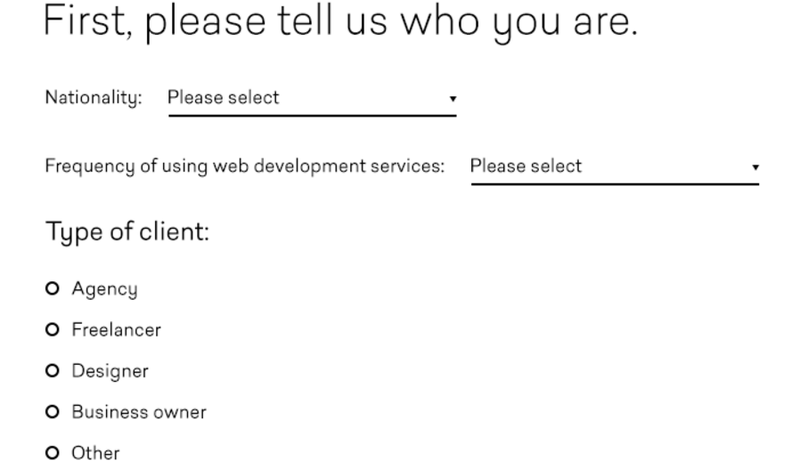 To create a software user experience survey, you need to consider who is your target participants, who will you send this questionnaire to? So you may need to know the participant's age, interests, nationality and environment, etc. The survey not only can be done remotely but also can be done in the street. If users are random passers-by, please make the question easy to understand. If your target participants are UX designers, then you can add more professional questions in it. which part is the most important in the design process? If respondents choose the option A, they may want the product to be similar like Mockplus( interaction design tool); If they choose the option B, then the participants may prefer to use Sketch (interface and image editing design tool). Respondents will like Proto.io, Justinmind, Axure if they choose the option C.
Questions are not always being serious, some interesting questions may get feedback more easily. but that is not easy at all. You should require a lot of knowledge to guide you, even your personality style. At the same time, you can also learn from other competitors questionnaire if you don’t know how to do it at first. Why do we need to repeat the questions? Sometimes participants may ignore the first question by accident, and we haven't got our information yet. So we need to repeat the question to emphasize the importance. How to repeat the question that respondents won’t hate? First, place the similar questions in difference order. Second, don’t use the same words. Third, images replace the text. Most researchers found that the order of questions will affect the participants to respond. If the questions are ordered inappropriate, it is likely to cause the user experience problems. The general questions should be placed first, and the specific question should be placed in later. Why should we do that? Think about it, when we send the survey to the participants, you must want to get most useful feedback from them, but if the questions are too difficult to understand, who will spend the time to do it. Creating a good user experience questionnaire just like design a good user experience product, it’s all about the users. As a user researcher, you must at least master the questionnaire method to help you get the user’s needs and requirements.